Yes, 2017 has been a very exciting year in terms of covetable new fashion brands to add to your wardrobe. And now that 2018 is almost here, we've been carefully following our social media feeds to keep tabs on the new brands that are well on their way to being everywhere in the New Year. Among the 10 brands we predict will sell out next year are some that you may have heard of (e.g., I.Am.Gia, which in-the-know celebs like Bella Hadid and Kaia Gerber are obsessed with) and some that are as brand-new as it gets (think Emily Ratajkowski's new swimwear brand, Inamorata). While fashion girls will undoubtedly continue to wear their old favorites in the New Year, there's great sartorial pleasure to be had in mixing your Zara and Levi's with pieces from a cool new brand that everyone will ask you about. Keep scrolling to familiarize yourself with the 10 brands to be on the lookout for in 2018, and shop our favorite pieces from each. You can count Selena Gomez and Kaia Gerber as fans of this New York–based brand's cool pants and jeans, many of which can be customized with whatever type of belt your heart desires. Polish brand Kreist has a glamorous '70s feel that It girls like Gigi and Bella Hadid have embraced. 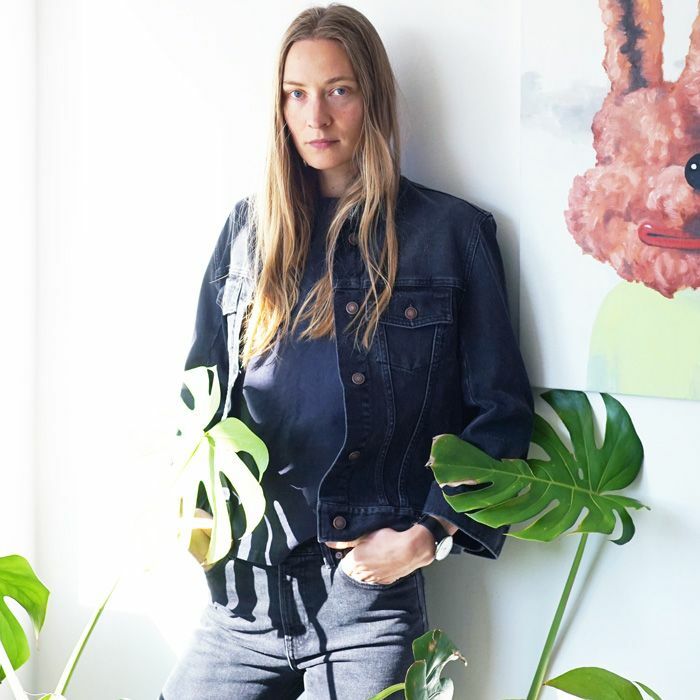 You're going to want to add its unique denim jackets to your cart first. Emily Ratajkowski, queen of the swimsuit selfie, has fittingly created a swimwear line, and we're already impressed. The prints and colors are subtle yet special, and the cuts are forward yet wearable. Seemingly every It-girl model on the face of the earth has quickly caught on to I.Am.Gia, the affordable Australian label that's making streetwear accessible, thanks to its reasonable price points (many of which are under $100). We first spotted under-the-radar brand Elliette's pretty pieces in our Instagram feeds and quickly became obsessed with its entire collection of pretty, vacation-worthy pieces. Kendall Jenner and Bella Hadid started wearing Australia-based Daisy over the summer, and we were instantly drawn to the romantic-with-an-edge pieces. It launched back in 2015, but we think it's only going to gain in popularity here in the U.S. next year. The founder of popular jewelry line Luv AJ just launched Après Jewelry, a fine jewelry line with both stunning engagement rings and pieces that are perfect for everyday wear. The accessible prices mean that you can stock up on the timeless yet cool baubles without breaking the bank. Ciao Lucia is the Los Angeles–based Italian-inspired brand that keeps selling out. Even if you don't have a getaway planned to the the Amalfi Coast anytime soon, you can at least dress like you do. Zara's little sister brand Bershka just launched in the U.S., and it's even more affordable than its predecessor. We predict that it'll be the new go-to for fashion girls when they want a quick fashion fix that's easy on the wallet. Another favorite of Bella Hadid and Kendall Jenner, Alyx is a streetwear label that launched in 2015, but thanks to its pieces' bold, slightly subversive details and newfound celebrity following, it's gaining steam that will undoubtedly continue into 2018. Next, check out the Copenhagen brands that are redefining Danish fashion.